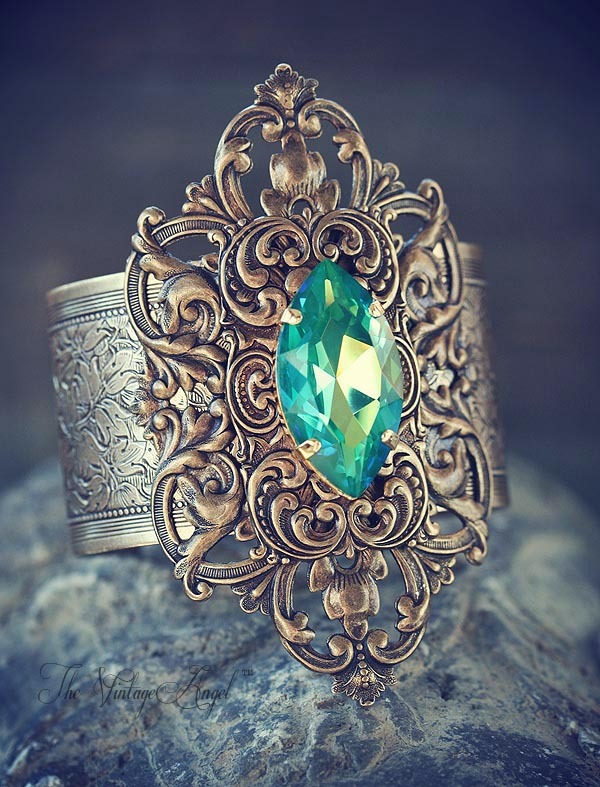 A regal, elegant and bold cuff with rich, darkened brass detailing paired with the most amazing ocean-hued Swarovski crystal navette (crystal is an inch tall!). 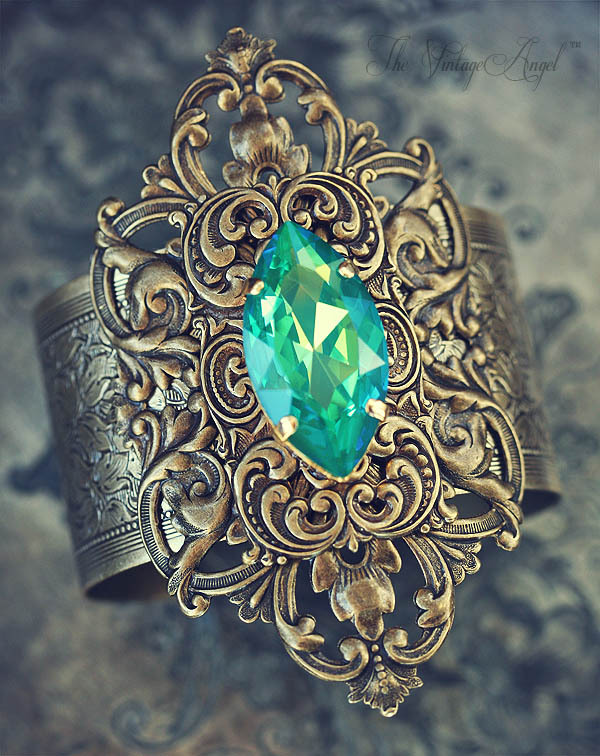 I've started with a 1.5" wide antiqued brass cuff with etched floral details. 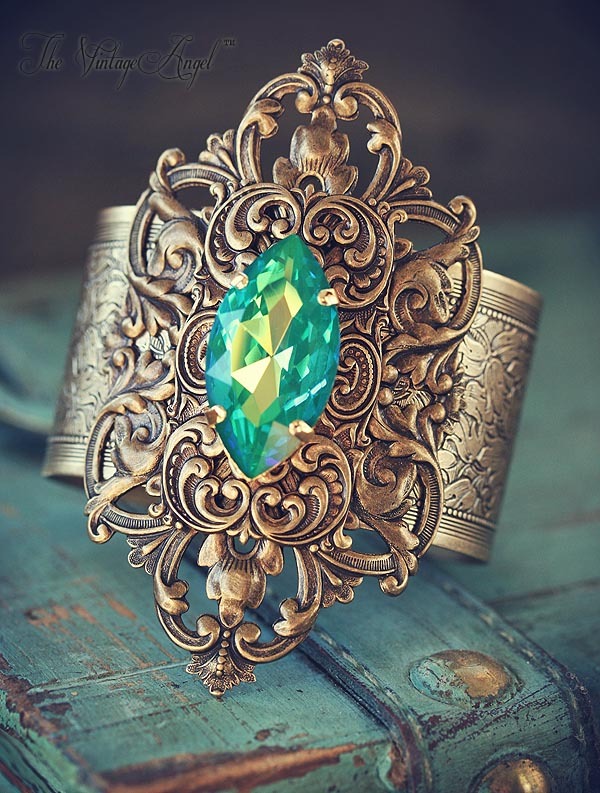 Layered on the cuff is an aged brass stamping with regal details, layered with another framework piece. 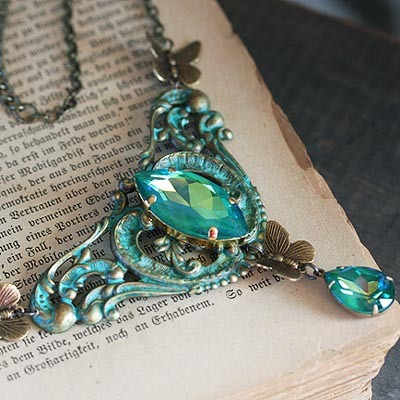 Finally topped with a gorgeous sparkling one inch tall Swarovski crystal navette safely set within a brass bezel cup.